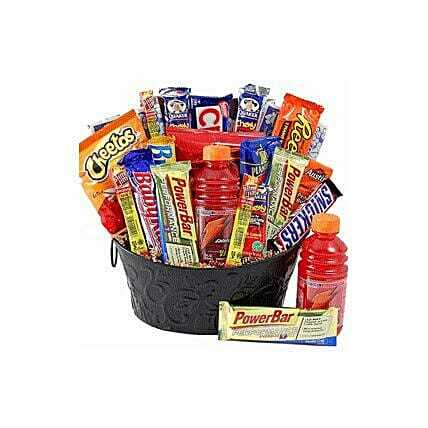 An extraordinary hamper gift packed with assorted energy-giving snacks! There is a selection of delicious chocolate bars, energy drinks and savoury snacks. This is ideal for the active and sporty friend or family-member and will definitely be well-received. Store the other items in a cool, dry place. Refer to the expiration date on the package and consume your edibles before that.